A $1.5 million mistake! Do you just let it go? I once made a painful mistake and was absolved. Recently, a much larger mistake was made by an Atlantic City casino. It, too, was absolved. I considered my absolution reasonably fair. I’m not sure about the Golden Nugget’s. It would be nice to know what others think, so please keep reading. I was in college when I committed my blunder (neither my first nor my last). My classmates were finishing their final exam in political science when I realized I was supposed to be there. Upset and perplexed, I ran to the class and arrived as everyone was leaving. With exceptional humbleness I told the professor what happened and apologized, repeatedly. His reaction stunned me: He laughed. And so I wondered if the folk at the Golden Nugget were equally stunned – or more so — this week when their mistake was wiped clean by the State Superior Court of New Jersey. According to the Associated Press, the case dates to 2012 and a game of mini-baccarat. Fourteen players who had been betting $10 a hand suddenly up their bets to $5,000 and won 41 straight hands. Their total winnings were $1.5 million. 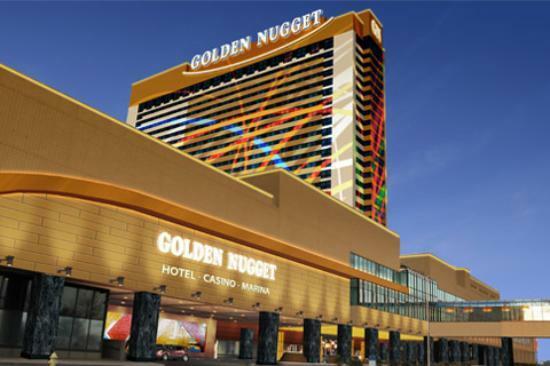 The court, ruling in favor of the Golden Nugget, ordered them to give it back. They didn’t cheat. They broke no rules. What they did was notice that the cards being dealt had not been shuffled. As the cards came off the deck, they showed a consistent, predictable pattern. The players took advantage of this pattern to win. The dealer was not shuffling the cards because the decks were supposed to have been pre-shuffled by the manufacturer. The cards came from a Kansas City company that admitted its error in court. The judge’s ruling said New Jersey’s Casino Control Act requires that cards be shuffled. Since they were not, the mini-baccarat play was illegal, unauthorized and therefore void. The court ordered the 14 players to return their winnings, minus their original bankrolls. I changed my mind when I learned more about the case. Now I don’t know what to think. The additional details and background came from the website Cardplayer.com. It seems that back in 2012 a lower court actually ruled in favor of the gamblers. It was willing to award them their winnings – which they had not fully collected. The Golden Nugget suspected it was being scammed and paid out only $500,000. The 14 gamblers were forced to hold the rest in chips. The gamblers, all of Asian descent, were not happy with this first ruling. They wanted more than their winnings. They wanted damages and made allegations of illegal detention and racial discrimination. The owner of the casino, Texas billionaire Tillman Fertitta, said he would gladly pay the $1.5 million if all other charges were dropped. The 14 gamblers refused. Now they have lost, and most likely will appeal. Even for a guy who got As in political science, I’m not sure who is right or wrong; who is being fair or unfair. I’d like to hear from others on how they would rule. The one resounding thought I’m left with is this: If I had been playing mini-baccarat and the cards started showing a pattern, would I have been smart enough to take advantage of this, or would I have been kicking myself for the rest of my life for missing the opportunity? A final footnote: Gemaco, the company that didn’t shuffle the cards for the Golden Nugget, once manufactured cards for the Borgata that had flaws on the side. Ten-time World Series of Poker champion Phil Ivey was dealt those cards. He noticed the flaws and used them to win $9.6 million.